Chimamanda Adichie is a novelist from Nigeria, and her’s is the profound voice of a “TED Talk” titled“The Danger of a Single Story.” Adichie, in the video, tells the story of how she found her cultural voice, and warns that if we hear only a single story about another person or country, we risk a critical misunderstanding. Television news contributes to this because it packages some brief aspect of reality into an even briefer report. The power of the images fools us into thinking we understand more than we do. For instance, in my years as a journalist I reported from a number of natural disasters. You visit a destroyed area, talk to the people, and try to convey as much of the reality as possible, but it is never enough. The reality is so overwhelming that images from disasters linger in your mind decades after the disaster. People who read a single story or watch a single television story simply cannot grasp what has happened. The more people expose themselves to varied stories and perspectives, the better they will understand. But this points to one of the biggest dangers in our American media world today. Niche media package messages for a particular audience; they want to make you feel at home so you will keep coming back. Many in that audience will be tempted to get all of their information from that one comfortable source because it reinforces their preconceptions of reality. When that happens, and it occurs on both the left and the right, ignorance can begin to grow. If you look at something from one perspective, you simply cannot understand that thing well. 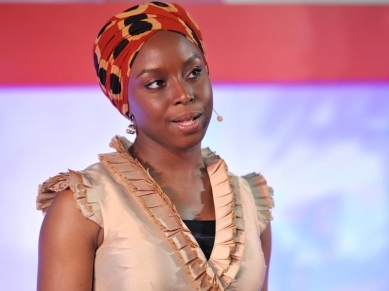 Adichie’s thesis about the danger of a single story makes the point in a powerful manner. She uses stories from her life to build her case, and it is a very strong one. Watch the video, and it will be 19 minutes of life well spent. You either, like me, will learn something new, or you will see an old truth illustrated in a compelling manner. A prayer: Lord, help us to better see the reality of this world and of the people with whom we share it. This death should not be lost among the other news of this week. Where does racism come from? Timothy Keller, in his book Generous Justice, says the beginning is chronicled in Genesis 11. This perspective bothered me a bit when I first read it. It seemed to imply that God is to blame for racism, though that obviously was not Keller’s intent. The author, in fact, points back before God’s action. Here would be the simplified flow of the logic: Pride and lust for power, then God’s response, then lack of understanding and ability to work together, then scattering. So, racism is not God’s fault; it’s the fault of pride and lust for power. Keller doesn’t go into that stream of logic, but it’s implied and I needed to follow the path more clearly. It seems to me we have two realities related to race in our churches. There is the old stench of racism that looks down upon those who are different, and then there is the ethno-centric mindset that refuses to embrace a Christ identity that is greater and more important than any ethnic bloodline. It is much more important that I see myself as Christian than as Anglo, though I still know the latter is true. Christ would have me transcend my Anglo heritage and attach to His. May we all really come together in Christ and not allow what differentiates us to separate us. 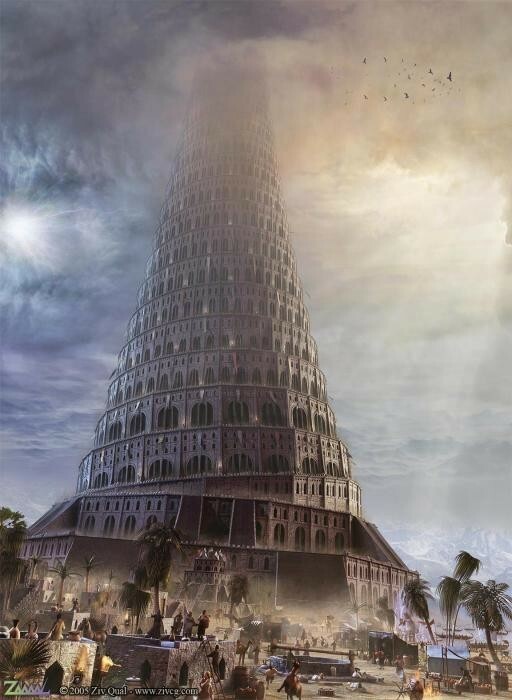 May we no longer babel, but speak the one cultural language of Christ.